Though the tech industry gave a mixed performance during the recently ended earning season, those that offer cloud services performed relatively well, thanks to the increased implementation of the technology as well as higher spending on it by numerous clients. 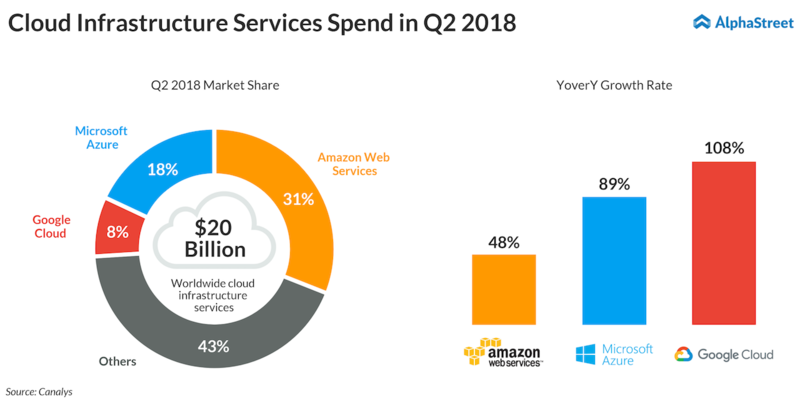 According to Synergy Research Group, spend on cloud services jumped as much as 50% year-over-year during the second quarter and Amazon (AMZN) grabbed the biggest piece of the pie, riding on the solid headstart it has gained over its rivals. 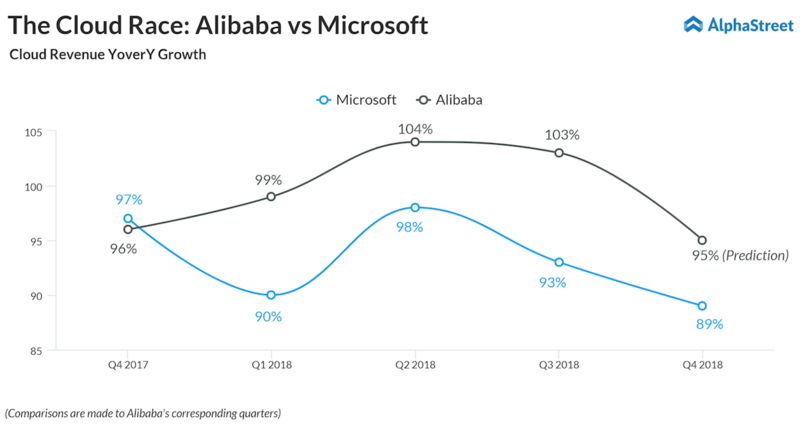 Though its closest competitors Microsoft (MSFT), Alphabet (GOOGL) and Alibaba (BABA) performed much better in terms of revenue growth over the past few quarters, they are still leagues behind Amazon Web Services (AWS) in market share. Meanwhile, International Business Machines Corporation (IBM), a pioneer of enterprise blockchain development, trailed behind Chinese counterpart Alibaba in terms of market share during the second quarter. Though the cloud revenue grew at a steady pace at IBM, it wasn’t adequate to beat the staggering growth displayed by Alibaba. During the recently ended second quarter, Amazon reported better-than-expected AWS revenue growth of 48.9% to $6.11 billion. This increase helped the cloud segment contribute 11.5% of the total revenue reported by Amazon during the quarter, higher than 10.8% it accounted for last year. According to research firm Canalys, Amazon currently holds 31% of the total cloud infrastructure market share, higher than the combined share of its two closest competitors – Microsoft Azure (18%) and Google Cloud (8%). What is perhaps more interesting than the incredible market share is the fact that AWS is becoming increasingly profitable. During the second quarter, operating profit from AWS came in above market consensus and accounted for more than half of Amazon’s total operating profits. AWS is also making inroads into the blockchain technology through its newly launched “blockchain templates.” Analysts expect the new products and initiatives to double AWS’s annual revenue by 2020 to $42 billion. During the second quarter, Microsoft Azure’s revenue grew 89%. Though still a fairly significant growth, it was the first time in five quarters that the growth came in below 90% mark. Of its $110 billion in quarterly revenue, commercial cloud services segment contributed $23 billion. 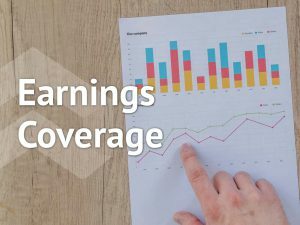 Though the technology behemoth does not reveal the earnings contribution by Azure, Canalys estimates it to be around $3.6 billion, or half of AWS. Microsoft’s annual cloud revenues increased 22% in 2017 to $17.7 billion, closely followed by Google. Under its cloud chief Diane Greene, Google maintained its market share of 8% by adding prominent clients including PricewaterhouseCoopers LLP, SoundCloud Ltd and Domino’s Pizza Inc (DPZ). 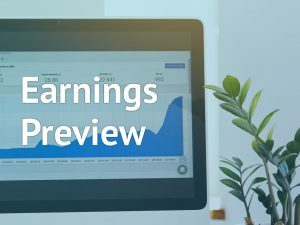 Google’ Other Revenues segment, which comprises of its cloud services, improved 37% to $4.4 billion in Q2. Google Cloud revenue grew 108% during the quarter, according to Canalys. However, Google has a long way to go before it can even hope of competing with Microsoft or Amazon. Alibaba’s recent entry into the Fantastic Four of cloud service firms, outstripping IBM is widely seen as a significant achievement. The company’s cloud segment, which is quite used to three-digit revenue growths, has the advantage of dual market operations. On one hand, it is helping in the global expansion of Chinese companies, on the other hand, it is the best option for US companies that are looking to strengthen foothold in the Chinese market. Client list include prominent names such as KPMG, SAP, InterContinental Hotels Group, Nestle and Schneider Electric. The company has never shied away from burning cash to improve its cloud services, which is expected to pose short-term trust issues with investors. However, in the long term, these investments are expected to help maintain its strong growth. Though the company has recently been weighed down by trade war worries and narrowing operating margins, cloud services have relatively been unaffected. Cloud services will once again be in the lime light as the Jack Ma-led company reports quarterly earnings on Thursday.